The Planetary Society’s LightSail test mission successfully completed its primary objective of deploying a solar sail in low-Earth orbit, mission managers said today. During a ground station pass over Cal Poly San Luis Obispo that began at 1:26 p.m. EDT (17:26 UTC), the final pieces of an image showcasing LightSail’s deployed solar sails were received on Earth. The image confirms the sails have unfurled, which was the final milestone of a shakedown mission designed to pave the way for a full-fledged solar sail flight in 2016. LightSail 1 captured this image of its deployed solar sails in Earth orbit on June 8, 2015. The mission began May 20 with a launch from Cape Canaveral aboard a United Launch Alliance Atlas V rocket. The spacecraft fought its way through software glitches, two signal losses and unexpected battery behavior before finally deploying its solar sails on June 7. The LightSail team is now downloading a second camera image from the opposite side of the spacecraft before it reenters Earth’s atmosphere. 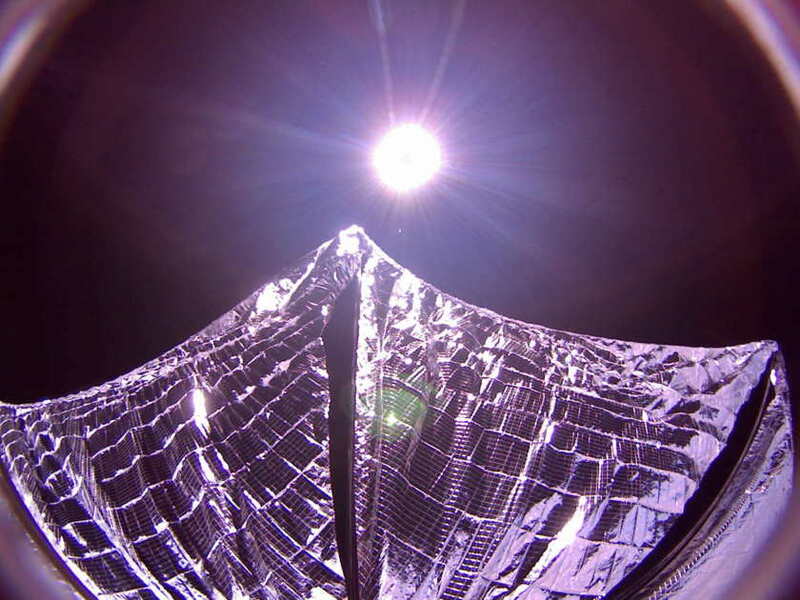 Because LightSail was directly between the sun and Earth at the time of image acquisition on June 8, it is believed the second photograph may include a view of Earth. Next, engineers may “walk out” the sail booms to increase the tension on the sails, which could further flatten the wavy appearance of the Mylar. The image also appears slightly distorted due to the camera's fish-eye lens. The team will analyze all sail imagery and any tensioning results in preparation for next year’s flight, when LightSail operates in a higher orbit and uses sunlight for propulsion. The Planetary Society is hosting a telepresser Wednesday afternoon at 1:30 p.m. EDT to discuss results of the mission. Credentialed media are invited to contact Erin Greeson at [email protected] for call-in information. Audio of the press conference will be streamed via LightSail’s Mission Control Center webpage. Congratulation to both the satellite as well as the genius engineers who designed this little robot. Have a great and long journey and let's stay in touch all time! This is exciting, Light Sail pushes what we can possible do by showing how travel can be unlocked in different ways. This is a watershed event, like the Saxons with their long ships, and their Viking brothers behind them, they used a technology in ways that solved the problem of man power and mobility. Light Sail is proof that we have more resources at our fingertips then what we think we have. I am excited to hear of more from the Light Sail project. I congratulate The Planetary Society with the greatest event! It had real hard days for everyone who interested this mission and Space. We made it! Yeah! That is an excellent outcome compared to the situation last week. Congratulations to all involved. For bonus points, see how long you can use solar propulsion to postpone re-entry? YES! TPS WE DID IT!!!!!! Remarkable effort by TPS staff, all the sail and systems designers from industry, Cal Poly, Georgia Tech AND all those that donated to the program and "kept the faith" from before COSMOS I to the present!!! Getting into space successfully with a complex system and having it work is very difficult and considering the "shoestring" budget this accomplishment is basically phenomenal!!! This effort is HISTORICAL!!! ONWARD and OUTWARD!!! The COSMOS is beckoning . . .
Congrats to the LightSail team and TPS! This is a good start. Looking forward to the remainder of the mission and to LightSail 2016! Congratulations on your successful mission. More power to all who contributed to this project. Great step towards propulsionless spaceflight! Bye bye horrible rocket equation. And well done to handle the hiccups on the way. Awesome news. So proud. Love the image. Very pretty. Humanity takes a positive step forward. It may be a lone voice but I just can't agree to all this hype. In my opinion the project is largely a failure with a few lucky moments. This is due to inadequate planning and testing. Lightsails are an old concept. There are good reasons why they haven't been used so far. And they will never ba a significant contribution to space travel. They are just too ineffective. The least effective way to make use of solar energy for propulsion. So why are you doing this? Well, it looks nice. Even children like a solar sail while they may be repelled by a dangerous looking rocket. But don't forget: First you need a rocket to bring it into orbit. So this is a marketing activity. It may bring more members to the Planetary Society. For my part, I find any of the ongoing planetary missions more interesting than the light sail. Emily is doing a really great job in keeping us up to date. Lightsail is a just a toy for a few. If I had donated I would be very disappointed. You could make better use of your resources. I'm afraid I disagree with Edgar. Any successful experiment, no matter how small or imaginative, enhances the enthusiasm, to encourage people to try harder for the next goal. Who knows, we may be 'sailing' round the solar system in the future, with low cost space vehicles, on tight budgets, waiting for the next solar flare, to boost our speed. The 'lightsail' technology would probably be most effective in solar systems and not for intersteller flight. Huge sails would be needed to catch the solar wind between the stars. I personally think that more investigation into the control of magnetic flux for future propulsion in intersteller flight, would be worth while. After all, magnetic flux is everywhere and through everything! When I was younger (a long time ago) my daughters school had 'Space Week' where various class activities were focussed on Space subjects including learning the names of the Planets (at that time Pluto was in that group), building Space related models etc. As I had some model rocket experience I encouraged my daughter to build a model rocket for her contribution to 'Space Week'. It wasn't perfect, the wings weren't quite straight but the artwork looked amazing. It came the day that we were to launch her model. The whole school came out to the football oval to watch. My daughter was just busting with pride. She pressed the button. Up it went about 100 feet in the air (only a small motor), the wind caught it and it stuck in a tree. We got it down. She still has it 20 years later. Space is hard. But its also fun. Edgar: Even if LightSail were not a valuable engineering demonstration -- and I think it is -- its value as an organization-building project is enormous, as more members equate to more support for the Society's other activities and the ongoing planetary missions you mention. Consider: Would NASA (possibly with ESA contributions) be going to Europa without the Society's advocacy and lobbying in Congress? Hard to tell for certain, but my sense is that the Society had a major part in that. 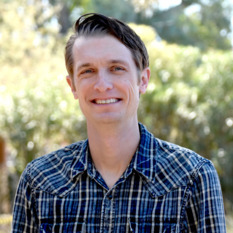 If LightSail can energize and grow the organization -- in membership, finances, reputation, and awareness -- then it's much more than a lucky try with an old concept. There's more than mere physical momentum in those photons! Edgar: this is a Flight Test of the engineering bed. It was not a mission as one defines a mission. The design and concept needed to be tested. Flight Test 2 will be the flight with a mission to prove or disprove solar sailing. I have heard bot arguments as to why it will or will not work. Past flights have "sailed" post chemical propulsion. If solar sailing works, Flight Test 2 will find out one way or another. Solar sailing can carry science payloads with an appropriate design. No fuel. Technology construction where it is today will make this possible. Sure it can't go everywhere anymore than your car because of oceans but cars still get built. Edgar, You may be correct about the usefulness of solar sails inter-galaxies. But using the solar sail inter solar systems and for orbiting satellites it would be a plus. No need for expendable fuels, or atomic energy. Is LightSail flight a one way trip - away from the energy source? Toward another solar system, will the LightSail only go half way before there is "push back" from the other star?